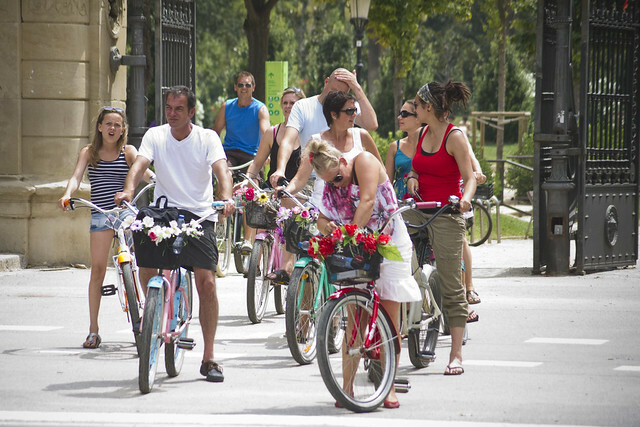 There are various bike rental places in Barcelona. My personal favourite, from a Cycle Chic perspective, are these bicycles. They come decked out with flowers on the baskets - a century-old traditional in established bicycle cultures. Lovely.